Boutique accommodation in a historic town, being one of the most beautiful villages in Spain and the most visited in Spain, with a very good location and impressive views over the sea and the mountainous environment. 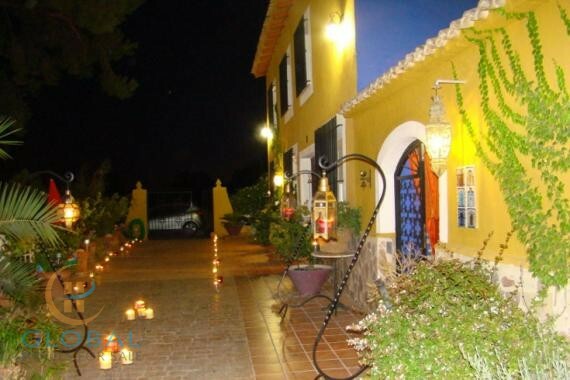 It is the best rated accommodation in Spain for several years in a row. This charming rural hotel offers five bright en suite rooms with all the necessary services for an exceptional stay (a/c, safe, hydromassage shower, WiFi connection, flat screen TV with satellite channels, Apple TV and iPad). The house is decorated to the millimeter to be as welcoming as possible. There is a two bedroom apartment with living room and bathroom that is currently used as a private area. In addition to an exceptional restaurant offering breakfasts and dinners with local products, there are five common spaces where guests can enjoy different types of entertainment, such as resting by the fireplace, listening to a masterpiece or relaxing reading a book or enjoying a movie. In the surroundings there is a lot of tourist offer for all kinds of visitors: museums, historic buildings, wineries with wine tasting, activities such as canyoning, scaling, via ferrata, mountain biking or cycling.